Astronaut Eric Boe during an August 2018 announcement of crew for the first manned tests of Commercial Crew Program craft. 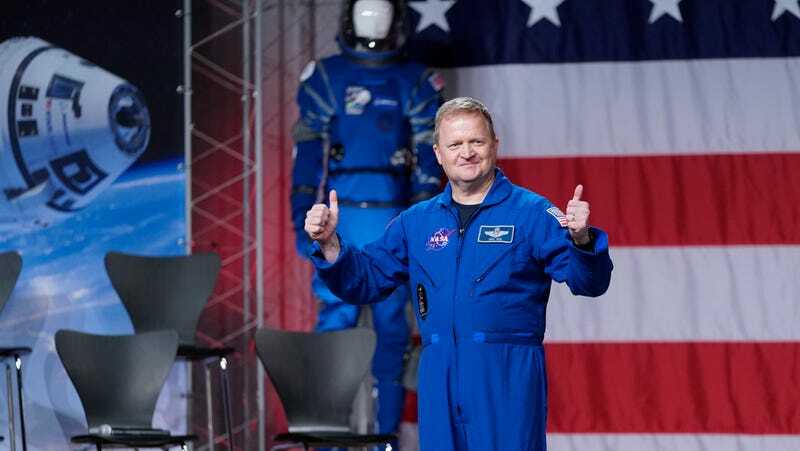 NASA has pulled astronaut Eric Boe, who was scheduled as a crew member for the first manned test flight of Boeing’s Boeing CST-100 Starliner crew capsule in the second half of 2019, as he “is unable to fly due to medical reasons,” the space agency said in a statement on Tuesday. Instead, he will be replaced by 22-year veteran astronaut E. Michael “Mike” Fincke, a former Air Force colonel with three flights to space under his belt, including stints on the Space Shuttle Endeavor and as the commander of the International Space Station. According to Space.com, Fincke has extensive experience working with NASA’s commercial crew partners, including Boeing and rival SpaceX. The two other crew members scheduled to fly in the Starliner—NASA astronaut Nicole Aunapu Mann and Boeing’s Chris Ferguson, who left NASA in 2011 and has worked with the company ever since—have not been changed. Boeing and SpaceX, which is working to convert its own Dragon cargo capsule to carry crew, are in a race to see which company will be the first private entity to send humans into space as part of NASA’s Commercial Crew Program. Both companies must complete a successful, uncrewed test flight to dock with the ISS first, with SpaceX’s scheduled for no earlier than February and Boeing’s scheduled for March. SpaceX’s crewed launch is scheduled for June and Boeing’s for August, but the program has repeatedly hit delays (both companies’ spacecraft were originally intended to be ready by 2017). Timetables for their readiness could thus change if the craft aren’t ready for their test dates or something goes wrong. SpaceX—which has a lot on its hands right now with its Big Falcon Rocket/“Starship” program—recently announced it would be laying off 10 percent of its staff. The U.S. has bought seats to the ISS on Soyuz rockets operated by Russia’s Roscosmos space agency since 2011, when it retired the venerable space shuttle. But the clock is ticking, and NASA’s contract to send passengers on the Soyuz expires in November 2019. What&apos;s the Loudest Sound in the Universe?